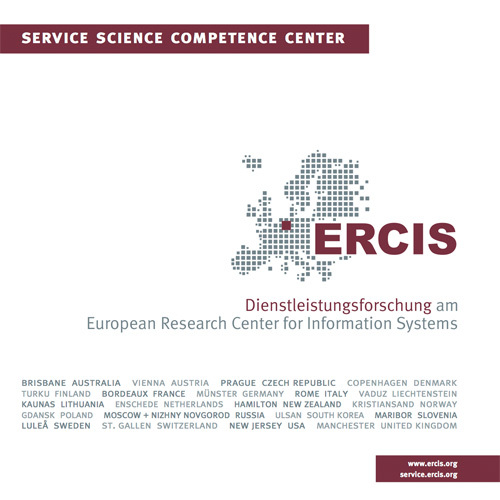 MKWI 2018 | ERCIS Competence Center "Service Science"
Cyber-physical systems represent self-optimizing and reconfigurable systems that bridge the gap between the physical and digital world by means of information technology. By means of integrating sensors and actuators in digital systems, CPS offer new functions that can be employed to create novel value creating networks, e.g. in the domain of smart factories or smart mobility. Such innovative business models, respectively smart services, require technical foundations and architectures that allow for the integration of all the different subsystems into the incumbent Information Systems. Potentials for standardization have to be used, that enable the interoperability of the subsystems. Likewise technical, organizational and legal aspects have to be taken into consideration.